Our affordable, smaller-sized ShopBot Desktop is a digital fabrication powerhouse. In addition to impressive woodworking capabilities, the Desktop delivers engraving level precision and the power and rigidity to machine parts from wood, plastic, aluminum, and other materials. The Desktop can perform a wide range of workbench, prototyping and production projects. And it is a flexible platform to support your growing digital fabrication interests and needs. The Shopbot Desktop Milling Machine comes with an industrial HSD 1HP 220V Single-Phase Spindle and a desktop Starter Bit Kit. When it comes to quality, the difference is in the details. The ShopBot Desktop has a welded aluminum frame and steel rails, giving this tool the heft and rigidity to do real projects. 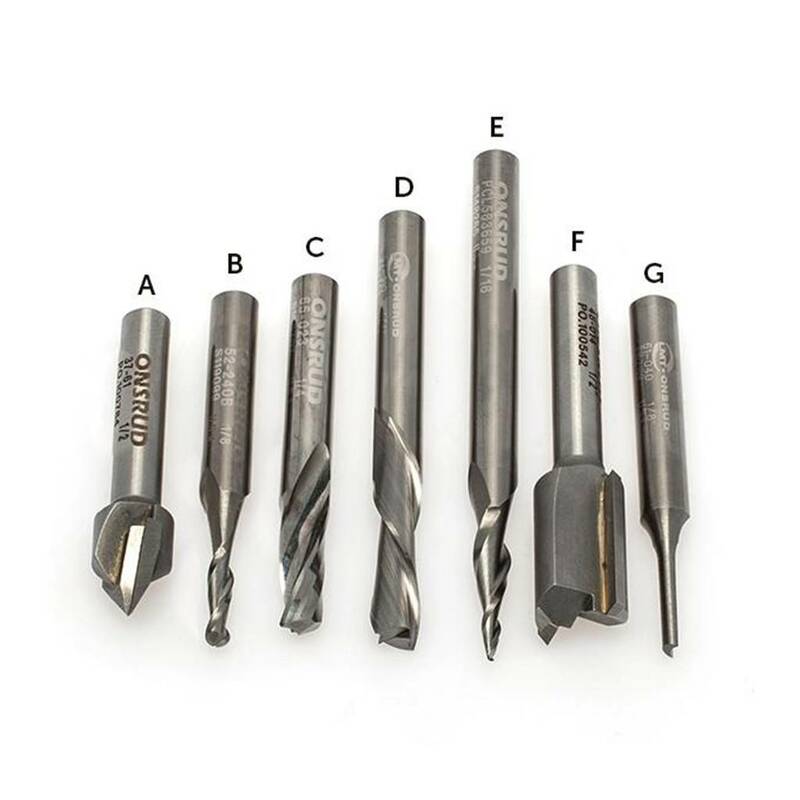 Others may use plastic parts in their smaller tools — ShopBot does not. We don't cut corners! 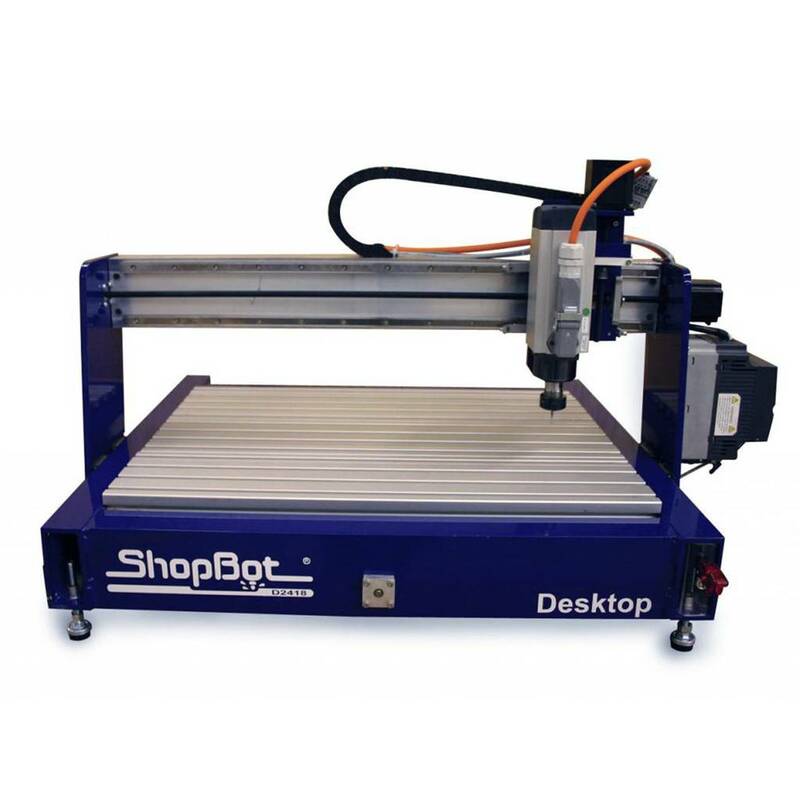 The ShopBot Desktop uses the same control and software as our full size tools. 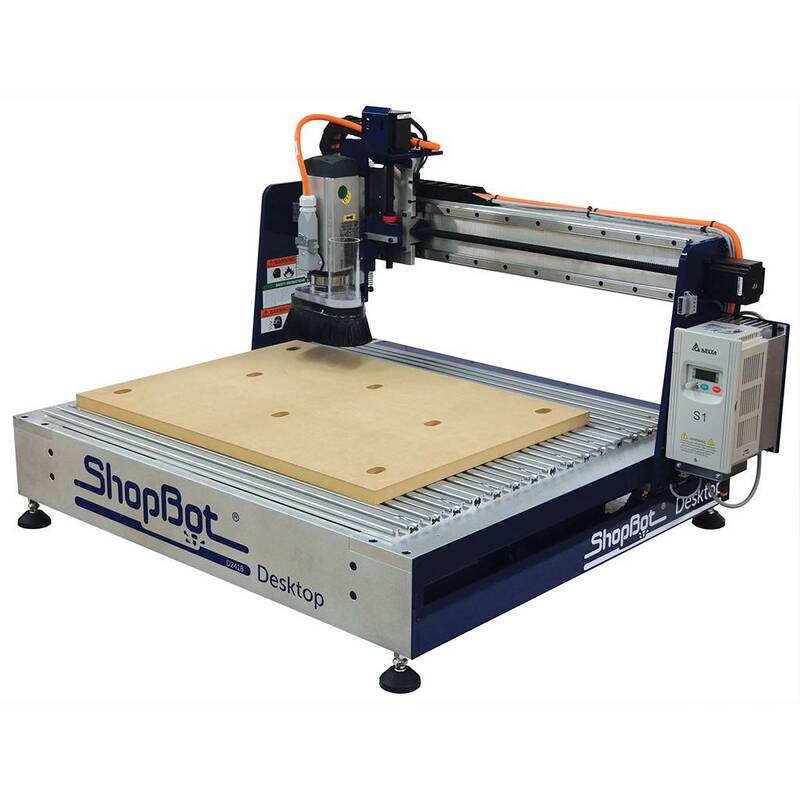 It runs ShopBot software and ships with the ShopBot Design Software Suite so it’s fully compatible with other ShopBots and all of our ShopBot resources such as training, projects, and forums. If you're new to digital fabrication, you'll find that the ShopBot Desktop has resources to help you. The Desktop's quick set-up, starter projects, and new ShopBotEASY interface will help you get to work on day one. Along with the ShopBot Control Software needed to run your ShopBot CNC tool, we are pleased to offer two powerful software programs to create CNC projects with each tool purchase. VCarve Pro V8.0 ShopBot Edition provides a powerful but intuitive software solution for cutting parts on a ShopBot CNC Router. There are tools for 2D design and calculation of 2D and 2.5D toolpaths and along with the ability to import and toolpath a single 3D model (STL, OBJ etc.). There is also support to import multiple Vectric Clip Art 3D models (V3M) to create 3D assemblies. Fusion 360 is a cloud-based 3D CAD/CAM tool for product development that combines industrial and mechanical design, collaboration, and machining in a single package. With Fusion 360 you can quickly iterate on design ideas with sculpting tools to explore form and modeling tools to create finishing features. Engineer your models to test fit and motion; create assemblies, photorealistic renderings, and animations. Fusion 360 also allows you to work in teams in a hybrid environment that harnesses the power of the cloud when necessary and uses local resources when it makes sense. Customer support is available 7 days a week, including evenings, from our Durham headquarters. If you're just starting on the CNC learning curve or you've been "fabbing" for years, we have a knowledgeable, friendly support team that's ready to help.